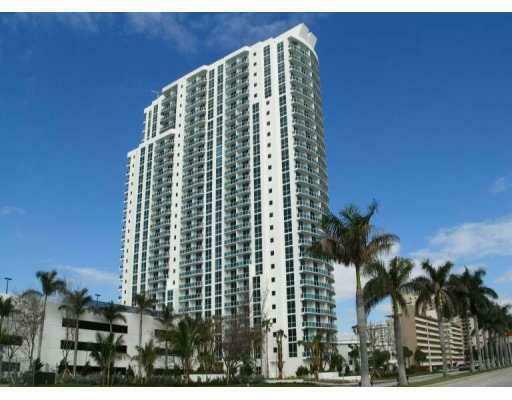 The Ocean Marine Yacht Club condo in Hallandale Beach is a 28 story building with 283 units, ranging from studios to 3 bedroom condos and even bungalows, the property has a home for everyone, no matter how luxurious your tastes overlooks the Atlantic Ocean and the Intracoastal, built in 2008. The entire property sits on more than two acres and you'll find over 190 Hallandale Beach condos for sale that are available with 700+ square feet of living area on the lower end. This property represents the pinnacle of South Florida living, combining the best of modern technology with unbeatable amenities, luxury and style. The building, itself is an eye-catching edifice, while the homes within the property are delectable. In addition, the property offers numerous amenities to entice you to call this 'home'. Amenities at the Ocean Marine Yacht Club include a multipurpose room, a fitness facility, an infinity edge swimming pool and a game room, to name a few. Choose a standard unit at the Ocean Marine Yacht Club if you’d like a nine foot ceiling of your own or upgrade to a penthouse. Large balconies, Italian porcelain flooring in the kitchens with granite countertops, European cabinetry and stainless steel appliances are part of the residential features. Marble is also used heavily in the bathrooms. The beach itself is right across Ocean Drive from Ocean Marine Yacht Club. You'll find even more beaches nearby within the city of Hollywood which also includes a lively downtown area. Aventura Mall is one of several places you can visit if you're looking for a place to shop or if you'd like to watch the latest film everyone is talking about in IMAX.